Our Employee Absenteeism Investigation will discreetly confirm the validity of an employee’s sickness claim. for the majority of employee absences, however, studies have shown approximately one-third of absences in the workplace are fraudulent. The aim of our Employee Absenteeism Investigation is to discreetly confirm the validity of the employee’s claim providing evidence for the employer to determine whether or not the illness is genuine and to what severity. Is it Legal to monitor my Staff? Yes, providing the relevant processes are followed and assessments completed. As an employer you are bound by the Data Protection Act (DPA) 2018. The Information Commissioner’s Office (ICO) governs the Act and is the organisation which imposes penalties and fines. ‘Senior management should normally authorise any covert monitoring. They should satisfy themselves that there are grounds for suspecting criminal activity or equivalent malpractice and that notifying individuals about the monitoring would prejudice its prevention or detection’. Do I need Proof before monitoring my staff? No, As stated above by the ICO an employer only needs to have ‘reasonable suspicion’ that there are grounds for suspecting criminal activity or equivalent malpractice. Lateo Surveillance will talk you through a series of very quick assessments to ensure DPA compliance. Why use Lateo Surveillance Ltd? Lateo Surveillance are fully compliant Private Investigators and members of the DPA, registered on the register of Data Controllers. Lateo Surveillance intimately understand the DPA and have proven robust processes in place to protect you from needless fines and damage to your reputation. Our investigators are trained, qualified and experienced. Lateo Surveillance Ltd is fully insured. 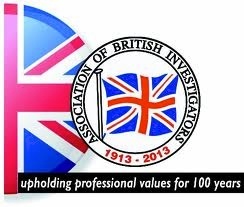 The principal investigator of Lateo Surveillance Ltd is a Full member of The Association of British Investigators the only Private Investigation body endorsed by the law society of England & Wales. We are NOT part of a ‘Network’ of online agents, for more information on how networks operate see our post Private Investigation The Facts. Lateo Surveillance will personally conduct your investigation. We will keep you the right side of the Law! What evidence can we provide? Evidential grade video footage presented in a format of your choice. Detailed written reports and activity log. All evidence obtained can be used in court if required.